Enjoy a wonderful holiday on the beautiful beaches of KwaZulu-Natal. If it's in Umhlanga Rocks near Durban or on the Dolphin Coast, the warm Indian Ocean is waiting for you. Escape to the adventure and recreational paradise that is the Kwazulu-Natal Coast in South Africa that is renowned for exquisite beauty and stunning beaches. Here, you can experience an unforgettable beach holiday and revel in the post-card perfect coastline. 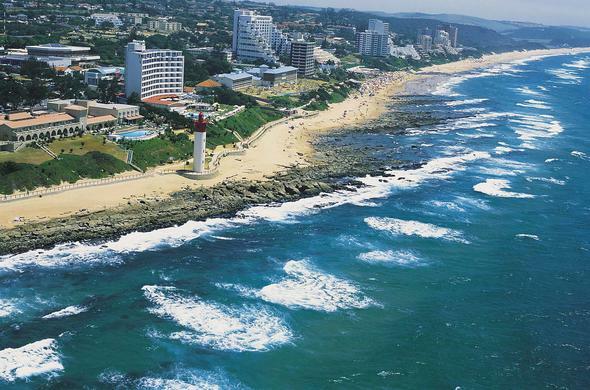 Whether it's sun, surf or swimming that you are after, the KwaZulu-Natal Coast has the perfect destination for it all. Visit the one-of-a-kind African marine theme park known as uShaka Marine World, stroll on Dolphin Coast on a leisurely afternoon in the Kwazulu-Natal Coast. Admire the stunning scenery on an adrenaline pumping sky diving adventure, or spend the day teeing off at one of the championship golf courses. 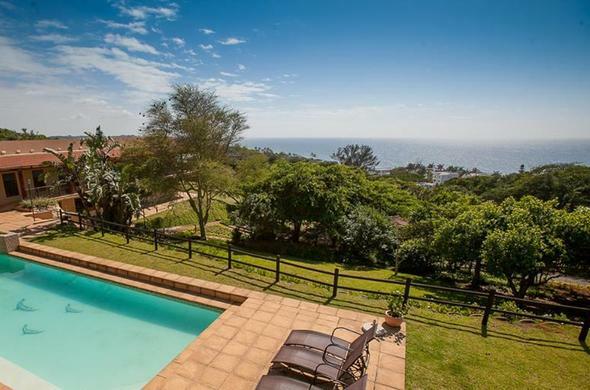 The Lodge at Princes Grant is on a 150 hectares estate, perfect holiday accommodation on the Balito coastline. It overlooks one of South Africa's best golf courses. 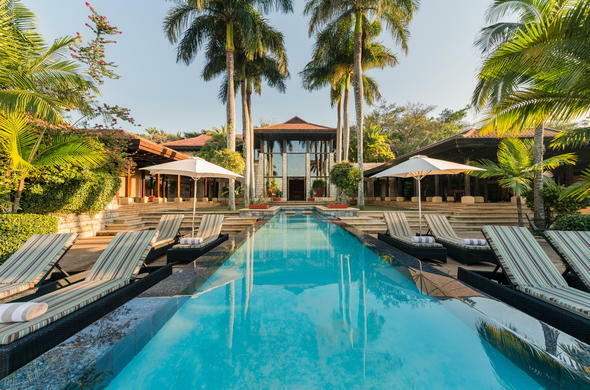 Enjoy access to a secluded beach and private lagoon. North of Durban. 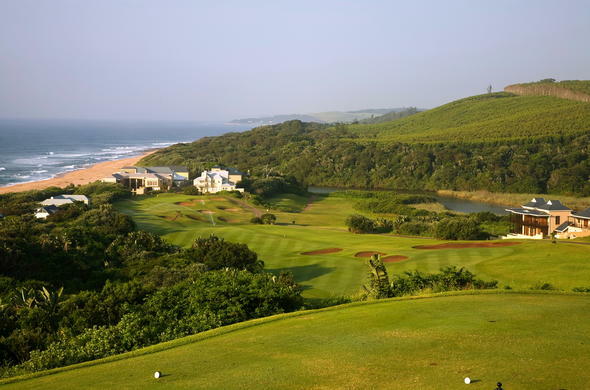 Meander Manor in KwaZulu-Natal, South Africa is found along the pristine Dolphin Coast near Durban and Ballito. The Blue Flag status beach is 500m away. Enjoy horse riding, fine cuisine, sky-diving, lifestyle shopping and world class golf. Fairmont Zimbali Lodge With great weather throughout the year, Fairmont Zimbali is perfect for beach holiday accommodation in KwaZulu-Natal. Only 40 minutes from Durban, access to 3km of unspoilt private beach, coastal forests and African wildlife. 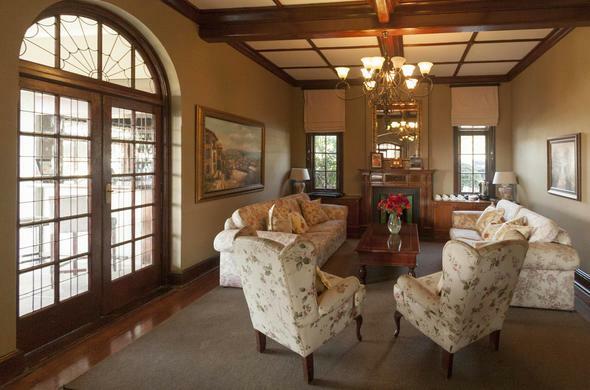 Audacia Manor Re-live the 1920's in this historic luxury Durban lodge. Gourmet meals and personalised service are the norm. Durban's Golden Mile, uShaka Marine World and beautiful beaches are within easy reach.